The SEC filings include Premier, Inc. presentations to investors that clarify with great detail how egregiously conflicted Christine Cassel, the ABIM/ABMS and NQF were/are in terms of what they do and who they work with and for. It is baffling that the investigation into the plurality of conflicts of Cassel and her affilated organizations was not pursued by the DOJ and congressional oversight committees. And investigation should have been conducted until the American public/taxpayer/professional community were made aware of all the service, goods and data dealings that were/still going on using healthcare reform as the backdrop for massive profits and compensation such as we see Cassel receiving to help facilitate financial and partisan political aims, both personal and for the industry and special interests the ABIM and their affiliates without doubt serve. The conflicts of interests with Christine K. Cassel, while she was CEO of the ABIM/ABIM Foundation and NQF are much worse than reported as the SEC filings indicate below. We have a plurality of conflicts invloving Dr. Cassel and the ABIM's association with Cecity/Premier, Inc/PHSI/Premier Plans/Kaiser Foundation Health Plans and Hospitals and more. The ABIM allowed Cassel unlimited (undisclosed to the public/physicians) conflicts of interest. Christine K Cassel was on the Premier, Inc. board and served on PHSI board since 2008 receiving compensation. Cassel was also a member of the board of managers of Premier Plans since 2008. "Christine K. Cassel, MD has served as a member of the board of directors of Premier, Inc. since its inception in May 2013. She has served as a member of the board of directors of PHSI and a member of the board of managers of Premier Plans since April 2008. Since June 2013, Dr. Cassel has served as the President and Chief Executive Officer of the National Quality Forum. Dr. Cassel served as the President and Chief Executive Officer of the American Board of Internal Medicine from May 2003 to June 2013. Dr. Cassel is also currently an Adjunct Professor of Medicine and Senior Fellow in the Department of Medical Ethics and Health Policy at the University of Pennsylvania School of Medicine. Dr. Cassel currently serves as a member of the board of directors of the Kaiser Foundation Health Plan & Hospitals and as Chair of the board of directors of Greenwall Foundation. Dr. Cassel is one of 20 scientists chosen by President Obama to serve on the President's Council of Advisors on Science and Technology, which advises the President in areas where an understanding of science, technology and innovation is key to forming responsible and effective policy. Dr. Cassel obtained a bachelor's degree from the University of Chicago and a medical degree from the University of Massachusetts Medical School. We believe Dr. Cassel's qualifications to serve on our board of directors include her approximately 35 years of experience in the healthcare industry and her expertise as a national leader in geriatric medicine, medical ethics and quality of care." SEC filings reveal that Cassel could have served two consecutive three year terms as a director receiving compensation and annual dispensations of stock and stock options. The potential for conflicts of interest as a wealth builing tool has been underappreciated and under reported as to the extent of Cassel's hubris and entitlement. And to think as a PCAST advisor to the POTUS with all the strict federal employment laws associated with graft and conflicts of interest it is a miracle that Christine Cassel and others were not indicted and serving time in a federal prison. Read about the stock plans that Cassel missed and how much the ratio was for stock and cash compensation to directors (12-18 directors). 3X the compensation in stock. What about the GPO stock offering mentioned. That was never brought out in the press just how much incentive Christine Cassel and others had for providing favors and steering healthcare reform from the NQF, ABIM, ABIM Foundation, Kaiser Permanente, Premier, Inc. leading them to staggering profits and revenue and increased members. Courtesy of legislation and regulatory capture. Look how MOC (lifelong learning fits in to the scheme.) The Ponzi scheme has grown in scope and level of concern the more we see who the actual players are. The restructuring of Premier, Inc in 2013 appears to wipe out the record of a very complicated business model comprised of various segments and an evolving business structure with a great many acquisitions. Cassel was a PCAST advisor to the White House, a very privelidged position with a great deal of power and influence over HealthCare/Technology/National Defense. Did Cassel overstep and abuse her position. Where is the investigation? The following SEC filing gives us some clues about how/why the reorganization/restructuring of Premier was occurring in a perfectly timed lock-step with healthcare reform (ACA), but also conveniently obscuring a very complicated past history and conflicts of interest. Especially concerning is the involvement of Christine Cassel with Premier Health Services, Inc and as a manager of Premier Plans since 2008. The ABIM was preparing for its illegal offensive against medical review courses/businesses and physicians who attended them beginning in 2008 with the creation of their new clandestine division/team formerly known as testing security. The was under the COO Lynn Langdon who reported directly to the CEO. ABIM created their now infamous offices of the Director of Investigations with an almost unlimited purse for conducting invasive, intrusive and abusive acts against physicians and to destroy competition for ABIM partners/parent organization ACP. They placed a doubly convicted felon to run the operations without and disclosure or public oversight. This was a well timed operation, but where did the idea come from? The ABMS, the industry or those politically minded CEO's like Cassel, who is connected with both industry and government at all levels - past and present. The timing of their sting operations is troubling after Cassel is appointed to the White House. "As the healthcare industry’s leading software as a service (SaaS) provider, Premier offers turnkey solutions for continuing medical education (CME), Maintenance of Certification (MOC), performance improvement (PI and PI-CME), registries, pay for reporting (including the Physician Quality Reporting System (MIPS)) and Lifelong Learning Portfolios." "Premier’s clients include organizations from across the healthcare paradigm, including certifying boards (American Board of Internal Medicine (ABIM)), accrediting medical education organizations (American Osteopathic Association (AOA)), professional medical societies (American Academy of Family Physicians (AAFP)), health plans (Highmark Blue Cross and Blue Shield) and many others." of our U.S. hospital members, sit on 25 of our strategic and sourcing committees and as part of these committees use their industry expertise to advise on ways to improve the development, quality and value of our products and services. In addition, a number of senior executives from our U.S. hospital member owner systems currently serve on our board of directors. Other than GNYHA Purchasing Alliance, LLC and its member organizations, which accounted for 9.3% of our net revenue in fiscal year 2015, no individual member or member owner systems accounted for more than 5% of our net revenue in any of fiscal years 2015, 2014 or 2013. Total GPO purchasing volume was approximately $44 billion and $41 billion for the calendar years 2014 and 2013, respectively." That is a lot of MOC purchasing power! 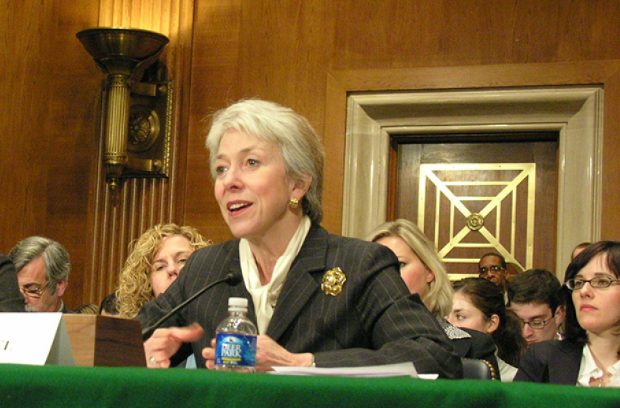 Sitting on the board along with Christine Cassel in 2013 were board members who also had positions with the AHA and AMA, insurers and hospitals, and Wall Street. Christine Cassel was one of the founders of the National Quality Forum NQF which opened for business in 1999. Has anyone ever connected the dots between all these NGO's and their highly conflicted leaders who take turns appointing each other? Rembering the NQF CareFusion/Cardinal Health scandal (Was there more to the story that we have not been told? Who buried it and how did they do it? Is there a need to revisit to understand the how all the corrupt elements of quality assurance/testing cartel/NQF fits in with industry conflicts, impropriety, including kickbacks and fraud. DoJ statement of "NQF/HealthSafety Committee" settlement paid by CareFusion and one dissavowed NQF safety committe member. This was an exempt offering from Premier. According to Aug 26, 2013 SEC filing shares of GYNHA Purchasing Alliance Class B were to be issued to Cassel and others. Subject to the terms of the exchange agreement, each member owner will have the cumulative right, subject to certain restrictions, commencing on the one-year anniversary of the last day of the calendar month in which we consummate this offering, and during each year thereafter, to exchange up to one-seventh of its initial allocation of Class B common units, as well as any additional Class B common units purchased by such member owner pursuant to certain rights of first refusal set forth in the exchange agreement, on a quarterly basis, for shares of our Class A common stock (on a one-for-one basis subject to customary adjustments for subdivisions or combinations by split, reverse split, distribution, reclassification, recapitalization or otherwise), cash or a combination of both, the form of consideration to be at the discretion of the audit committee (or another committee of independent directors) of our board of directors. See "Certain Relationships and Related Party Transactions—Transactions with Member Owners in Connection with this Offering—Exchange Agreement." Beneficial ownership of Class B common units reflected in these tables has not been also reflected as beneficial ownership of shares of our Class A common stock for which such Class B common units may be exchanged." Shares were issued but not for sale on the open market. They are for sale privately. It is clear that both Carefusion/Cardinal Health and Premier Inc. were to benefit from kickbacks to Chuck Denham. Carefusion as supply line and Premier as Group Purchasing Organization for all their hosptial members. Denham made a lot of money. Cassel made a lot of money and they both intended to make more. Both were caught, but only Chuck was thrown to the wolves. CareFusion had no choice but to settle and Chuck Denham to go away quietly in the night - both with little slaps on the wrist. The big money for Cassel and Premier, Inc. was in the Group Purchasing Organizations. She helped them amass huge profits and go on spending sprees to make acquisitions. Kaiser benefited, the ABIM/ABMS benefited, Cardinal Health/CareFusion profited handsomely. Physicians were constrained financially and politically having almost no allies, thrown under the bus by the politics of money, deceit, and corrupt professional medical politicians like Cassel and Baron creating a fortune for themselves while stabbing their colleagues in the back. The specialty societies and large member societies worked against the patient and physician in the name of growing revenues for themselves. Much of it coming under the thin veneer of healthcare reform. Even after being exposed down to the bare bone, they still preach egalitarian philosophy and prudent use of finite resources, but with a spear in the side for those they expect to deliver it. MOC is the corrupt political poison on the tip of that spear. DUBLIN, Ohio, July 16, 2008 – Cardinal Health, a global provider of products and services that improve the safety and productivity of health care, today announced that it has signed an agreement to offer Presource® custom procedure packs and Convertors® surgical drapes and gowns to the 2,000 U.S. hospitals and 53,000 other health care sites that are members of Premier, one of the nation’s largest group purchasing organizations. 21 billion dollars in revenues in 2005 for Premier, Inc. They doubled those revenues between 2008- 2013 to over 41 billion after Christine Cassel came to the board. Cassel helped grease the inside wheels as an appointee to the White House presidential healthcare reform advisory. Kaiser Permanente saw record profits with their unique position. Cassel and her elite cronies helped placed them in the front of the line, also. Cassel and her powerful allies worked on personal wealth with healthcare reform - lobbying at physicians' expense for healthcare policies which were enacted into law. We can see how MOC was built into the Premier, Inc model - acting as another catalyst for insurers and hospitals to mandate MOC along with cronies at the NDQA. One big reason the NQF and Christine Cassel wanted CareFusion to succeed. Their smart devices integrated with EHR. This is part of the reason for Premier, Inc's existence as a large GPO. It serves as an corporate actor/agent working for special interests involved in healthcare reform. EHR is integral to that takeover of medicine and the profession. CareFusion was bought out in 2014 after "patient safety's first scandal" to NQF member BD formerly Becton Dickinson & Co. There are a lot of name changes among the members of the NQF for reasons that we can understand. Just like the ABIM's Director of the Office of Investigations after being convicted on two out of three felony indictments changed his name to obscure his checkered past. BD now sells the CareFusion line of products including ChloraPrep. Chlorhexidine Gluconate (CHG) Skin Prep Products: New agreements for chlorhexidine gluconate (CHG) skin prep products have been awarded to incumbents Becton, Dickinson and Company (BD/CareFusion) and Professional Disposables International (PDI) Inc. These agreements are effective Aug. 1, 2017, through July 31, 2020. This category includes at minimum 2 percent chlorhexidine gluconate (CHG) and 70 percent isopropyl alcohol (ISA) chemical antiseptic products and solutions which are used as pre-surgical or interventional procedural scrubs and/or as a general wound cleanser designed to reduce blood stream infections." Prairie Health Ventures is an active alliance of 52 hospitals and over 500 additional affiliate healthcare and business organizations concerned with keeping care local, controlling costs and improving performance. Our members include hospitals, pharmacies, physician practices, labs, surgery centers, home-health services, long-term care centers, entire healthcare systems, charities and even business and industry. Our actively engaged membership participates in a range of alliance activities that fund the organization. Our heritage has been in group purchasing, but we have expanded beyond that into services that support the growing needs of our membership. We have spent more than 40 years serving our member hospitals and various affiliates by providing group purchasing, IT and shared services, and numerous opportunities for education and professional growth. As one of 200 Premier owners, we have access to the most current news, contracts and best practices impacting you and the industry. We seek to be proactive and look for value-added opportunities for our members. We also explore solutions to member challenges, and swiftly respond to current trends. At the end of the day, we work for you and are here to help you produce the best patient outcomes in your communities." Member hospitals participate in a variety of programs offered through Prairie Health Ventures. They benefit from a diverse portfolio of services, numerous networking events and educational opportunities offered through our active and growing alliance. We are proud that five of the National Rural Health Associations Top 100 Hospitals for 2014 are Prairie Health Ventures members. We would appreciate the opportunity to discuss your hospital’s priorities and assess how we can add value to your organization. Contact us to speak with a member of our staff. Like hospitals, many non-acute members find value and savings with membership on everything from medical/surgical supplies, food service, IT services, office supplies to pharmaceutical supplies and administrative solutions. Non-acute members are also eligible for special Premier programs, such as Employee Discounts, EXPRESS Buys and the Group Buy Program. Contact us for more information about membership or to learn about joining Prairie Health Ventures. Our growing list of non-healthcare members continues to expand. What you submit on your blog, Dr. Fisher is very compelling evidence that we have a clear restraint of trade - patent violations of the Sherman Act with multiple counts. Not only do we have restraint of trade levied against physicians by force of collusion between the ABMS and its member boards and the insurance companies and hospital industry, we have a coerced take it or leave it contract in the HIPAA business associate addendum that one cannot opt out of. What the ABIM throws at us will nilly wihout choice violates a physician and patient's right to keep their data private. Furthermore, this clandestine entrapment is enacted without full disclosure and provides no opt-out button to check. The language and definitions require a team of legal minds to even ferret out meaning or translation into common understandable language. How can anyone be expected to even understand the obscure wording/language in the ABIM's HIPAA Business Associate Addendum? It is not only ludicrous, it is a complete scam. These people should be put on notice by our representatives just like Zuckerberg was grilled by the House and Senate. We need to get our state legislatures to seek a cure for this invasion of privacy and abusive treatment regarding physician and patient data. We are left with no control whatsoever. Can this be added to the anti-MOC legilslation. It is equally discriminatory and injurious. is disgustingly violatory of privacy and constitutional guarantees. It makes my skin crawl. Do people understand how our society has degenerated to the point that we no longer can distinguish between right and wrong. Have we devolved to such a degree that we can no longer respect our selves or defend the basic rights that people before us gave their lives for? I cancelled my FaceBook account. I'd like to do the same with my ABIM data account. How can I opt out of their data collection program? And how do I opt out of the MOC program without losing my job or ability to get paid as a doctor. I want to be done with the ABIM for life. I paid my dues. Look what the executives have done to and with this non-profit charity. It is nothing short of despicable. They should give all the money back to us. They tricked a lot of money out of us. The executives, board of directors and senior staff should go to jail with steep fines imposed. Someone should sue Dr. Baron for the collusive and odious part he played in getting insurers and hospitals to mandate MOC. His toothy grin is wearing thin. The ACC creates straw man arguments about cardiologists completing inappropriate procedures. They then knock down these straw men by coercing hospitals and physicians into collecting our data under the guise of improving the delivery of care by ensuring adherence to evidence based treatments. The truth is closer to the ACC collecting our data as a new profit center. These data can be sold to CMS under the auspices of value based purchasing. This was the most obvious use of the information collection. 1. Unsuspecting Facebook user posts that grandpa was released after having a stent. The ACC and Facebook collude thru some sophisticated monitoring program and dark applications to link with a pharma company who pays for advertising for Brilinta over Plavix. (Obviously, this would not occur if Kaiser Permanente could determine that it was one of their patients since they would pay the bill.) ACC profits from a payment from Big Pharma and Kaiser. 2. Facebook user posts that husband has heart failure. Imagine activated computer servers in the deep dark bowels of the ACC headquarters linking advertising for Entresto to that Facebook users page. More ACC revenue! Winning! What other chicanery are they up to? Let your imaginations run wild. The avarice of the ACC should not be underestimated. Looks like the Department of Justice may have missed the forest for the trees. There are a lot of bad actors out there in the quality assurance field. It is a dark forest of conflicted individuals and collusional partners serving their elite corporate members. They serve not the public or profession but only themselves. "CHRISTINE K. CASSEL, MD, APPOINTED TO PRESIDENT OBAMA'S COUNCIL OF ADVISORS ON SCIENCE AND TECHNOLOGY"
Cassel goes right to work for Premier, while getting paid full time at the ABIM feigning to serve patients and the medical profession. Apparently Cassel and the board of directors misunderstood her contract and so did the ABIM officers and staff! Ditto for the her personal spending account - the ABIM Foundation. Nothing could be more corrupt than the ABIM/ABMS. WASHINGTON--(BUSINESS WIRE)--In a letter sent to President Obama and House and Senate leaders today, the Premier healthcare alliance and GNYHA Ventures, Inc., Greater New York Hospital Association’s supply chain enterprise that includes group purchasing organizations (GPOs), said that hospitals could improve healthcare quality and achieve cumulative savings of $317 billion if certain policies are enacted to create a more competitive and transparent purchasing environment. The savings are based on an analysis conducted by the two groups and projected over 10 years, to be fully realized by 2019." "June 15, 2009 01:27 PM Eastern Daylight Time"
Everything was going well for Cassel and Premier, Inc until . . .
3. Policy research for inpatient services"
It was going well until it wasn't going well . . .
by Marshall Allen Feb. 27, 2014, 3:51 p.m. EST"
But she was still in the White House. No conflicts of interest to report there . . . and wave after wave of healthcare legislation came to support Premier Inc. and their financial mission. Who is the "Greater New York Health Alliance" GNYHA, and why did Premier issue additional stock to Christine Cassel? How many shares of that private offering did Cassel and her Premier partners get under the label of B shares (Premier). And since Cassel was on the board for many years did they compensate her for past years as well with additional stock. According to the Prospectus shares in Premier/GNYHA could have been traded in for A shares if you were in the priviledged position to do so? Those B shares are hidden and not disclosed to the SEC. How does that happen? Who helped with that? How can you have public shares and private share associated with an IPO? Now, with Cassel out of the White House shares of Premeier, Inc. PINC are down substantially and reporting a sizable loss. Even with the stock market at all time highs. They report to have anywhere from over 3 to 6 dollar per share loss. The PE is "--" i.e., a negative number too embarrassing to record for investors. I guess investors are no longer bound by regulatory capture to invest in what was once insured to be a sure thing by the queen of conflicts of interest and her powerful allies. Did Cassel dump/trade in her B shares in Premier, Inc. along with the Hospital members in November of 2014? About one-fifth of the hospitals, health systems and purchasing groups that own the Premier healthcare alliance made nearly $120 million by selling shares in a secondary offering underway this month." CMS is already watching and so is Premier, Inc along with their partner ASA. HIIN Pilot is looking for "actionable intelligence" according to the financial/ethical perspective of Premier's CEO de Voe. "Premier Inc. Launches National Hospital Initiative to Improve Opioid Safety, Partners with American Society of Anesthesiologists"
"Premier’s HIIN pilot program will support hospitals by providing webinars and technical assistance from industry-leading experts, systematic planning for performance improvement, real-time data collection, the use of standardized process, outcome, harm and cost avoidance measures, peer-to-peer learning, and continuous monitoring, evaluation and refinement of implemented strategies to drive results. Findings from the pilot will be shared across Premier’s HIIN, with Premier and ASA members, and policymakers to shape government initiatives and accelerate safer pain management practices." It is certain that Premier, Inc's vast data network and ACC's NCDR ovrelap in many ways. 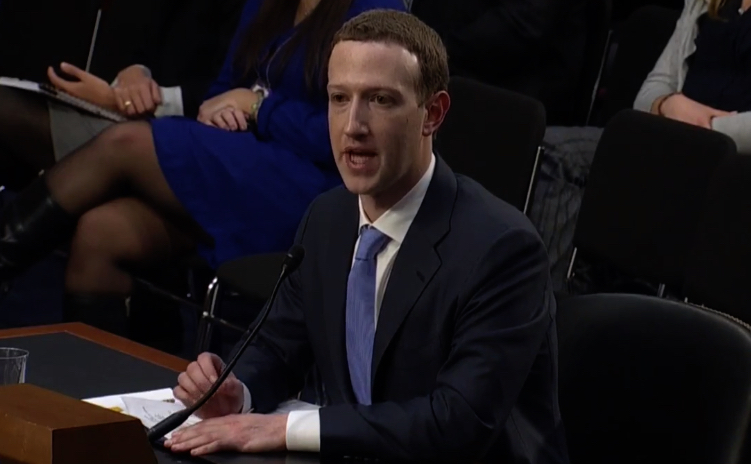 Given FaceBook's entry into the data market and healthcare data markets, whether overtly or otherswise, our data is being collected and used for purposes that we did not agree to. ACC and Q-Centrix "backdoor merger" with Premier, Inc, NQF and more . . .
"Q-Centrix Joins Forces With the American College of Cardiology in an Effort to Improve Quality and Cut Costs at Member Hospitals"
"Q-Centrix Furthers Its Commitment to Driving Measurable Improvement in Healthcare Quality and Safety"
Whether the ACC tells us transparently or not many of the murky organizations dominating healthcare and quality/safety assurance are essentially merged .. .
"The organizational strategy includes engaging several like-minded organizations within the industry to reduce barriers to healthcare quality improvement. At the start of 2015, Premier LLC announced their decision to bundle Q-Centrix data solutions with its quality improvement analytics in PremierConnect®, Premier's integrated technology platform. Later in the year, Q-Centrix became a member of the National Quality Forum. In May, Q-Centrix announced a partnership with the Illucient Purchasing Alliance, LLC, a joint venture between the Coastal Carolinas Health Alliance (CCHA) and the Southern Atlantic Healthcare Alliance (SAHA). Later that month, the American Heart Association selected Q-Centrix to support their quality improvement program. Then, M2S selected Q-Centrix to help support the Vascular Quality Initiative (VQI)." Your blog and comments are a wonderful addition to the trove of info that I've been accumulating on the shenanigans of Premier Inc. and the GPO industry for more than 20 years. That said, I'm not sure you see the bigger picture. The thoroughly documented anticompetitive contracting and pricing practices, self-dealing, conflicts of interest, kickbacks and rebates of Premier and the other GPOs are the real root cause of the chronic artificial shortages and skyrocketing prices of generic and branded prescription drugs. Further, this industry is unable to present a shred of independent evidence that they save a nickel on drugs, devices and other medical supplies; they hire ethically-challenged academics, consultants and law firms to produce bogus "sponsored research studies" that claim billions in fictitious savings. All of the empirical and anecdotal evidence shows that they actually inflate supply costs by 30% or more, or upwards of about $100 BILLION annually. If Premier is a healthcare improvement alliance, I am the pope. For more info and documentation, visit our website, www.physiciansagainstdrugshortages.com. Join with us to reform this corrupt "pay-to-play" system that is literally killing patients and destroying American healthcare! Circa 1987 was a pivotal year/time for the rise of the quality assurance pay-to-play Ponzi schemes involving time-limited certifications. This led to ABMS MOC crisis we have today. That very same year we saw the statutory seeds sown which helped create the GPO and PBM pricing/kickback/anti-trade rackets. These enterprises were not what they seemed with their lucrative monopolistic/barrier-to-entry market schemes. Doctors and hospitals are rationing drugs, and patients are being forced to use substitutes that are less effective or more expensive, or both. Lately, this crisis has reached a new level of absurdity: the U. S. is now importing sterile saline solution (a.k.a salt water) from Germany, Norway and Spain and sodium bicarbonate solution from Australia! Drug shortages and astronomical prices are nothing less than a public health emergency. These chronic artificial shortages are simply unacceptable in our market economy. After extensive research, we have concluded beyond any doubt that they were caused by the anticompetitive contracting practices, kickbacks, self-dealing, and conflicts of interest of giant hospital group purchasing organizations (GPOs). These buying cartels control the purchasing of upward of $300 billion annually in drugs, devices, and supplies for some 5,000 hospitals and thousands more nursing homes and other non-acute care facilities. The same kinds of corrupt practices have driven up the prices of drugs sold by PBMs to individual consumers. This is a "pay-to-play" scheme in which these cartels award exclusive contracts to favored suppliers in return for exorbitant "administrative," marketing, and other "fees" (a.k.a kickbacks) and rebates. In a nutshell, they've rigged the market. As a result of these dubious practices, there are now only one or two suppliers for many of these drugs, or none at all. In a throwback to the disgraced Soviet economic system, the GPOs have virtually destroyed this once-robust American industry by undermining the time-tested laws of supply and demand that govern virtually every other industry, from autos to zucchini. Indeed, they have stifled competition in the entire hospital supplies marketplace, inflating annual healthcare costs by at least $30 billion, according to a 2011 empirical study. And no one seems to know where all the GPO and PBM billions are going, because there is virtually no disclosure, regulation, or government oversight of these industries. That is no accident. GPOs and PBMs and their allies write big checks to powerful members of Congress to make sure we're kept in the dark about their questionable activities. ​To replenish our drug supplies and lower prices, market competition must be restored to the broken generic drug, hospital purchasing, and PBM industries. To accomplish that, Congress must repeal the misguided 1987 Medicare anti-kickback "safe harbor" provision, which gave rise to this crisis by exempting GPOs, and later PBMs, from criminal prosecution for taking kickbacks and rebates from suppliers. Incredible as this may seem, you can now read the documentation for yourself on our website." "1. Please fill in as many blanks as possible with your next amendment. total economic interests they will hold in the consolidated entity. subscriptions with the retention rates for the most recent fiscal year end. 4. We note your inclusion of Adjusted fully distributed net income attributable to PHSI. presented in your financial statements. fees of $23.5 million is primarily attributed to the conversion of certain members. through the effective date of the Reorganization." All very good questions about a extremely complex corporation that few could understand. The table on the following page sets forth the retainer levels for Outside Directors. Plus expenses and per item payment based on participation. The members of the nominating and governance committee are Christine K. Cassel, MD, Charles E. Hart, MD and Alan R. Yordy with Ms. Cassel serving as chair. As long as we are a controlled company, we are not required by NASDAQ rules to either have a nominating and corporate governance committee comprised entirely of independent directors or nominate our directors through a vote of independent directors constituting at least a majority of our board of directors. We intend to rely on such exemption. The nominating and governance committee will assist our board of directors in promoting the best interests of our company and our stockholders through the implementation of sound corporate governance principles and practices. The nominating and governance committee will identify individuals qualified to become board members and recommend to our board of directors the director nominees for each annual meeting of stockholders. It also will review the qualifications and independence of the members of our board of directors and its various committees on a regular basis and make any recommendations the committee members may deem appropriate from time to time concerning any changes in the composition of our board of directors and its committees. The nominating and governance committee also will recommend to our board of directors the corporate governance guidelines and standards regarding the independence of outside directors applicable to our company and review such guidelines and standards and the provisions of the nominating and governance committee charter on a regular basis to confirm that such guidelines, standards and charter remain consistent with sound corporate governance practices and with any legal or regulatory requirements, if applicable. The nominating and governance committee also will monitor our board of directors and our company's compliance with any commitments made to regulators or otherwise regarding changes in corporate governance practices and will lead our board of directors in its annual review of our board of directors' performance. Investors will be able to view our nominating and governance committee charter on the corporate governance section of our investor relations website at www.premierinc.com. The members of the member agreement review committee are Christine K. Cassel, MD, William E. Mayer and Susan S. Wang, our independent directors and Susan D. DeVore, our president and chief executive officer, with Mr. Mayer serving as chair. The member agreement review committee reviews and approves non-ordinary course transactions between us and our member owners and non-owner members. The member agreement review committee works with management to assess risks and is intended to be comprised exclusively of independent directors and the chief executive officer, who will serve at will. As we saw above Cardinal Health and Premier, Inc. had financial relationships/key partnerships. But in the SEC 2013 Prospectus Premier lists CardinalHelath as a chief competitor, which of course they are, but without any explanation or disclosure of the lucrative partnerships that existed between Premier and CardinalHealth. These relationships were concurrent with huge monthly payments to Chuck Denham (millions of dollars) for promoting their patient safety products, while he served on key patient safety committees at NQF. What was never brought out and carefully buried was how Premier, Inc. also greatly benefitted from NQF recommendations and with their "compteitor" - not just through direct purchase agreements with members, but key partnerships with Premier. Somehow everyone missed the bigger picture. Premier would also have financial boons, not just from Chuck Denham's efforts to aid CardinalHealth/CareFusion, but all patient safety related products sold/distributed through the Premier's GPO. "The primary competitors to our supply chain services segment are other large GPOs such as Amerinet Inc., HealthTrust Purchasing Group (a subsidiary of HCA Holdings, Inc.), Managed Health Care Associates, Inc., MedAssets, Inc. and Novation LLC. In addition, we compete against certain healthcare provider-owned GPOs in this segment. Our specialty pharmacy competes with Caremark Inc. (owned by CVS Caremark Corporation), Curascript, Inc./Accredo (owned by Express Scripts Holding Co.), Diplomat Specialty Pharmacy and many smaller local specialty pharmacies. Finally, our direct sourcing activities compete primarily with private label offerings/programs, product manufacturers and distributors, such as Cardinal Health, Inc., McKesson Corporation, Medline Industries, Inc. and Owens & Minor, Inc."
This statement made us laugh as it was clear what they were trying to do. We can see with the mind's eye, and not too much imagination, Premier's extremley nervous board and committee chair Chris Cassel, along with the board of directors and executives at Premier, were trying to distance themselves of Cardinal Health / CareFusion and the kickback scandal. The scandal that Christine Cassel was desperately trying to clean up. The sudden move of her right arm person Ann Greiner (ABIM policy VP) and then Cassel in 2013 from the high paying ABIM makes no other sense. She took a big hit in compensation and risked criminal and civil exposure as both women shifted to the federally funded NQF. Chuck Grassley, a high ranking Senator, and others were going after GPO's around this time and they were quite worried about further exposure/risk as the SEC filings indicate. Furthermore, it is clear from Senator Grassley's letter to the NQF (early 2104) concerning conflict of interest policies and vetting processes, that the Iowa Senator did not think highly of the NQF/Denham/Cardinal/CareFusion scandal or Cassel's egregious conflicts of interest. The NQF worked very hard to hide their connections and coziness with Cardinal Health/CareFusion products. They worked even harder to distance themselves from the extremely close multi-year working relationship with the very talented and skilled salesman/NQF contributor Chuck Denham. A third ABIM veteran board member and officer came to the rescue also, Mr. Fix-it fox Bob Wachter, to aid Cassel and Greiner in the cover-up process by serving on their auditing committee. What's next from the collusive agents of MOC? What are the next revelations to come in the decades long story or ABMS corruption and the MOC mandate? Maybe it's something else nobody talks about. Private Equity PE firms infiltrating the quality assurance cartel. The more Priavate Equity companies and their credit arms invest in healthcare, PE money/firms like the Blackstone Group/GSO may place/appoint their Chuck Denhams, Richard Barons, Bob Wacthers and Christine Cassels at will throughout non-profit quasi-regulatory/politically-connected NGO's. "Non-profit" corporations/industry shills like the ABMS, NQF, NCQA, AMA, ACP and so many others. Placing Chuck Denhams/Christine Cassels in the quality cartel mixes are becoming the industry standard and not the exception. Private Equity companies buy their way in and out of the healthcare systems and supply chains investing ever more heaviliy in the healthcare industry. This includes GPO's and PBM's. It also includes corporations such as IPC, the Hospitalist Co., which was bought out by TeamHealth in 2015 making it possible for IPC executives and board members to cash in stock/bonuses and walk away rich and richer. The sale of IPC also obscured the corruption within the organization as it was dogged by the DOJ for billing fraud. Adam Singer's role as tech innovator creating the data/alanlytics software to monitor hosptialists in realtime created a mistake-prone system due to human greed and craving for public attention and power. IPC with all its discontinuity of care and payment fraud/disconnect from patient care appears to have caused not better healthcare but worse. Studies show increases in morbidity and newspaper reporting and wrongful death lawsuits tell us more that the mainstream media is willing to. Adam Singer CEO and Bob Wacther Safety Chairman helped invent Wachter's dubious role as "Safety Chairman" on the board of directors again recruted to help cover-up a mess and make it go away with as little damage as possible. Not conincidentally, Bob Wachter's expertise in burying "patient safety's first scandal" and later covering up IPC's DOJ's whistle blower lawsuit involving Medicare/gov. retirees billing fraud must have caught the attention of UK's National Health Service. They called in Wachter to do an assessment and "digital makeover" of their EHR. If one knows anything of our system here in Britain we too have had our share of corrupt insiders involved in fraud. And Wachter's fame apparently has lit accross the pond concerning IPC as it too involves highly technical monitoring and data collection/storage systems. Keeping under wraps the sundry safety issues involved in the impossible number of patients alleged to have been seen by Adam Singer and Robert Wachter's Hospitalist force in a 24 hour day is astounding. One man or woman consistently working like two or three Hospitalists would raise alarm bells, but Singer kept the lid on and Wachter masterfully kept the sensational story on simmer until these elit entrpeneurs had a exeat in place. And they wanted out of the company with the money. It is clear that Blackstone Group and their friends in PE had a strong interest in protecting those professional medical politicians/lobbyists/shills for the industry when they bought out TeamHealth just prior to the settlement agreement between TeamHealth and the DOJ. That was in early 2016. Here are a few stories below that do not shed a good light on the ABMS, the MOC Ponzi scheme and their collusional qualty assurance cartel partners, plus their PE masters and all the many GPO/PBM's under the thumb of special interests and elites. What does it mean when a company like Premier Inc. hires an ABMS/ACP revolver to be on the board of directors - someone like Christine Cassel who enjoys receiving stock and cash for years. What does it mean when the revolver sits on more business committees at Premier and Kaiser Permanente, while lobbying on K Street and talking in the ear of the man in the White House than showing up for work at the ABIM in Philadelphia? It only spells out corruption and MOC collusion. ABIM payments to Cecity during the coninciding years at Premier and ABIM 2008-2013 only proves as the graft as Premier acquired the lucrative data collection/analytics MOC market involved in Cecity. What does it mean an ABIM CEO from 2003-2013 rakes in and even greater surplus of a finite resource like money doing favors for the folks at Kaiser Permanente (Health Plans and Hospitals) at the same time? And then that cunning politician/queen of coi could just have the nerve to go to the NQF and keep doing the same thing - stupid when their was federal money at stake. Nobody would do that - risk it all - unless their was a compelling reason. That compelling reason was to put out the raging fires of graft involving kickbacks for NQF endorsements. Cassel said her associate in patient safety Charles Denham lied to the NQF, but did he? The relationship between Cardinal Health the NQF and Denham was going on for years and so many high ranking figures knew about it and participated. Cardinal Health even paid them to show up and participate. Cardinal even subsidized Bob Wachter and Peter Angood of the NQF/TJC/ACPE to do seminars on patient safety with the NQF patient safety co-chair Charles Denham at the same time as there were endorsements being discussed for patient safety and the product manufacturers and suppliers who were key NQF members. Whatever they were doing and are still doing they seem to get a lot of attention and money for doing it. Those two items, money and attention, do not come generally without some purpose - political and financial. And a great deal of time and effort. What do you get for playing the game? You get moved up the ladder and you get more and more money until you break the bank in the game of monopoly. You own the board! Your pieces are everyhwere and you have a get out of jail free card. America's Essential Hospitals (formerly National Association of Public Hospitals and Health Systems) changed their name for some reason in 2013 just like Premier (PHSI) did the same year. In the game of monopoly I have never heard of a player getting use another piece (changing their name) unless they were prone to getting their way and liked to cheat in order to win. Universal language of money - "competitors" sharing data and the cost of code to standardize products to identify what is safe (ours) from those that are not (theirs). CHARLOTTE, N.C., April 19, 2007 — Hospitals will have an easier time selecting safer products through an “industry first” effort by the Premier healthcare alliance and Cardinal Health to standardize medical product terminology in online catalogs. Historically, industry information describing the contents of a specific medical product has been inconsistent or non-existent, posing possible safety concerns. Through Premier’s Supply Chain Advisor electronic product catalog and Cardinal Health SupplyLine®, the largest product comparison and purchasing database in the health-care industry, Premier members will have a standard set of nomenclature for product attributes to make it easier to search for products that won’t cause allergic reactions or those that are potentially toxic." MOCGATE is connected to QualityGate. Premier and Cardinal are not competitors. To consolidate and control distribution, Premier and the other big GPOs anointed Cardinal, McKesson and AmerisourceBergen as their "Big Three" GPO-authorized distributors (aka Authorized Distributors of Record, or ADRs). Only ADRs are entitled to receive manufacturers' rebates for products on GPO contracts, thereby squeezing out smaller distributors, whose base prices are much higher. The name of the game is to create a GPO-Supplier-Distributor oligopoly to raise prices, thereby increasing revenue for Premier et al. We need to ask some very uncomfortable questions about the ABMS cartel and ACA money - the bigger picture about where all that government and private money went and why. Not just to the insurers, hospitals and others but to defense contractors. Not even Dwight David Eisenhower could imaging this unlkikely scenario about the military/surveillance industrial complex and its ability to create markets for itself. Have the ABMS along with its cartel partners and affilitates and its executives supported and enhanced the defense contractors' entry into the healthcare market. They appear to have gotten help from highly connected professional medical politicians like egregiously conflicted Christine Cassel. We have seen nothing but increased profits for defense contractors from government and private contracts. The sudden appearance of a Booz Allen Hamilton executive on the board of the NQF is highly provocative and shady when you combine that defense contractors presence at the NQF along with the lucrative contracts that the NQF paid out to Booz Allen Hamilton and MITRE for its own surveillance/data anlaytics programs. For those who don't know we are talking about "IT and software" upgrades and enhancements to the NQF's K Stree offices in DC about a four minute walk from Booz Allen's corporate offices. So what is the connection between the ABMS cartel and the defense contractors, many of whom are paying members of the NQF. General Dynamics and Booz to name a couple on the dues list. This defense spending occurred under Christine Cassel's watch as ABIM CEO, PCAST advisor to the president of the United States and while she was an NQF CEO with stewardship of HHS funding. How many fingers in the money/influence pie can a cartel and the professional medical politicians have? Look at Rich Baron a CMS/HHS/NCQA/ABIM/ABMS/Commonwealth Fund - an obvious revolving door crony. Bob Wachter of the ABIM/ABIMF/UCSF/AHRQ also one of the cronies of corporate interests acting like a bufoon with his parade of quality assurance slogans and banners. And now Wachter is at the Naational Health Service in the UK to increase the pleasure of the corporate itch for higher revenues and profits through expansion of their IT infrastructure and spending. Someone mentioned the word bonanza and indeed it has been just that - a quality party where the facade of patient safety and quality fell off with a loud thundersous bang. What we've seen since 2011 is a great deal of money pouring into defense contractors as they bought out Healthcare companies/acquired IT corporations involved in healthcare infractructure and analytics software. In fact it is not a question about ABMS graft and egregious conflicts of interst. We saw how Christine Cassel worked to pass the ACA while working at the ABIM and working on it while at the NQF. Defense contractors entry into the health exchange/health IT marktets is also no question either. No one has done a study of how all the various NGO's of the quality assurance/certification/accreditation cartel has colluded with each other to create their MOC Ponzi scheme. And there has been no investigation into the federal/private influence in getting the defense contractors into the money party. We have seen no substantive federal, state or congressional investivation into the ABMS politicians influence on corporations bottom lines. This blog and the media have superficially touched on the corruption, conflicts of interest, and the propaganda shell game, but there has been no real investigation of the whole cartel and their self-dealing operations and who they really serve. The Cassel affair was never allowed to unfold and scrutinized by the DOJ concerning what the money and political activity was really all about and the dealings in plain sight and behind closed doors. It is clear beyond doubt that the normal course of business after the ACA was introduced and passed was corporate activity leading to huge profits for insurers, big hospital systems, analytica/data/quality assurance companies to the hilt and the fantastical supply chain scams and schemes that allegedly reduce cost and raise quality. Companies like Kaiser Permanente and Premier/Cardinal Health are the very same ones favored by people like Christine Cassel, Richard Baron, Bob Wachter and Chuck Denham, albeit a quarantining of the pernicious activity that everyone suspects/sees that is really going on. Eisenhower must be screaming from the grave, but we can't here anything much about the real standouts in profits who benefitted by these professional medical politic aiansnd their cartel. It has not been touched upon as far as I know and the media appears controlled and constrained from doing so. The ones who benefitted tremendously in big windfall profits have been big US defense contractors. All we have to do is look at Northrup, Lockheed, General Dynamics, and many others on the stock exchanges to see what has been going on under the radar of most Americans. Profits skyrocketed and stock shares have risen climbing in mulitples of up to seven times since 2011. All these steep advances in equity share prices and profits occurred after the introduction of ObamaCare, but also after the Middle Eastern and Northern African conflicts arose, which left many countries destroyed and in endless conflict. Are we not missing the bigger picture. We should be viewing these NGO's in the quality assurance/surveillance/certification cartel, not as public servants "protecting the public" but as corporate agents robbing from healthcare and giving business to or promoting areas of healthcare that have only burdened the system and slowed it down. Are the defense budget expenditures and healthcare cost savings intitiatives part of a larger scheme, which the quality cartel and its executive conductors played their parts in preparing and orchestrating? Some argue that insurance companies wrote Obamacare, but we should add the defense industry into the ACA's equation, which rather resembles the same boondoggles we seen in defense spending. The NQF has very intimate ties with Booz Allen Hamilton, the company that has been responsible for security leaks of some of the most sensitive government secrets. They are embedded at the NQF. The new NQF CEO is a CMS insider. "Kristine [Martin] currently serves on the eHealth Initiative's Board of Directors. She also serves on the Cost and Resource Use Standing Committee of the National Quality Forum and the Quality and Safety Committee for the Healthcare Information and Management Systems Society." ABIM, ABMS, NQF executive catalysts loaded revolvers for "Wall Street" and "G Street"
Robert Wachter, another loaded revolver was ABIM chair from 2012-2013, and editor for the HHS/AHRQ "safety journal" and "safety network". It is not a coincidence that Booz won contracts with the AHRQ through ABIM's political clout. Wachter helped the NQF win their get out of jail card in the game of monopoly and political persuasion in his "call to duty" moment in the Chuck Denham scandal serving on the NQF audit committe. Chris Cassel tapped her crony Bob for the job. "Wachter is a national leader in patient safety, health care quality and the organization of hospital care; he has published more than 250 articles and six books in these areas, including Understanding Patient Safety, the top primer in the field. He is editor of AHRQ WebM&M, an online case-based patient safety journal, and AHRQ Patient Safety Network, the leading federal patient safety portal. The two sites receive more than 3 million yearly visits." Authors: Rebecca A. Roper, M.S., M.P.H. Christina A. Marsh, M.M.H.S, M.A. "Booz Allen Hamilton Completes Separation Of Core Businesses And Sale Of Majority Stake In Government Business To The Carlyle Group - Wed, 30 July 2008"
"McLean, Virginia – Booz Allen Hamilton Inc. (Booz Allen) announced today that it has completed the previously-announced separation of its U.S. government and global commercial businesses, as well as the sale of a majority stake in the U.S. government consulting business, which will retain the name Booz Allen Hamilton, to The Carlyle Group for $2.54 billion. The firm’s commercial and international businesses are now independent, operating as Booz & Company." "Booz Allen Hamilton has been at the forefront of strategy and technology consulting for nearly a century." "Carlyle Group to Sell All Remaining Booz Allen Shares - Dec. 2016"
Confused? Meet PricewaterhouseCooper's (PwC) recent additon called "Strategy and". The question is Strategy and what? This is one of the most compellingly provocative stories in global business out there and we wonder where the press is on this. This kind of story makes a reporter want to dig further to learn more about the hidden financial/political ties between the ABMS/ABIM and PwC. Given all the executive relationships between ABMS/ABIM/PwC with extremely high consulting fees recorded in the tax filings, the intrigue between these corporate entities and the NSA's "Digital Blackwater sticks out like a sore thumb." !Christine Cassel's latest scientific revelation - "location, location, location"! Conflicted self-dealing lead author working for Kaiser Permanente as "founding dean" for their new medical school claims no conflicts of interest to report in a recent "study". Christine Cassel known for using non-profit organizations' to fatten her personal bank accounts has found a way to use the scientific method to sell her company Kaiser Permanente by publishing a pseudo study that reads more like an info-commercial for Kaiser Permanente real estate than a study. Cassel who knows real estate markets well through her primary agents Drs. Baron and Wachter - experienced agents at managing the ABIM Foundation's finite resources - has proven she has a knack for buying expensive real estate (for personal use) to enhance patient safety and quality of care. Cassel et al also has a proven ability to sell at a loss and run for the hills when diplomates discovered the impropriety, largess and freewheeling misuse of their hard earned money. Now Cassel et al is professing a novel idea that the quality of primary care residencies depends on the same standards and quailty metrics Cassel is known so well for. Those high standards and quality metrics depend on "location, location, location". The lead author, Chris Cassel, with her most recent scientific offering, has eaten all the frosting off the Kaiser Permanente cake exposing the old devil's food beneath. With a bold-faced fib Cassel smears the Kaisen cake display and we must blow the whistle and stop the assembly line before someone gets hurt by her again. When Chris says she has no conflicts of interest, she is falsey claiming that her current employer, Kaiser Permanente, will not be the one to benefit from her biased annalysis of where primary care residencies should be located. Cassel is obviuosly claiming that the new medical training should come from programs and schools like the Kaiser medical school/residency program she is "founding dean" for in Passadena. But it really isn't surprising that such a lofty scientific mind as Cassel posseses could be so out of touch with common reality as to make such a bold assertion, especially when we consider that Cassel's lofty political dreaming and scheming drained the ABIM and its Foundation of millions of dollars and left it deeply in debt. Einstein got it right when he said about people like Cassel who are always measuring things anally with their lower functions, and only do it for a savagely negotioted contract price.